Bear Soup, with Ron Suresha, streams online each Monday, at 10:00pm Eastern & Pacific on BearRadio.net. News, interviews, skews, and shmooze for the online ursine community — you’re just in time for another healthy portion of BEAR SOUP! The two-year hibernation is over! Bear Soup podcast, episode #50a, will stream online again tonight, Monday, August 17, at 10:00pm Eastern on BearRadio.net. Interview with singer/songwriter/musician, former Judybats lead man, now solo artist and all-around cool Knoxville dude, Jeff Heiskell.Check out Bearotic‘s excellent article on Heiskell. Check out Heiskell’s MySpace page. 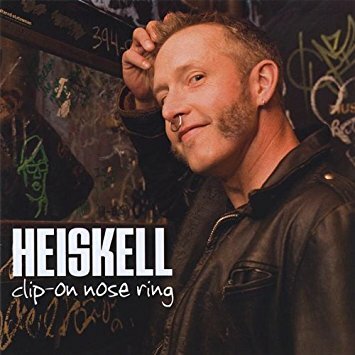 Buy the Heiskell album Clip-On Nose Ring at Amazon. There’s room in the tub for everybear, everycub, so grab your rubber ducky and tune in tonight for BEAR SOUP! Disclaimer: Clothing and rubber duckies optional. No rubber duckies were harmed in the making of this audio. Some wrinkling, shrinkage, or discoloration may occur. Check with your doctor to see if you’re healthy enough to sit in the hot tub for a half-hour or longer.